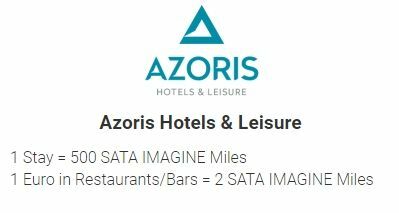 Azoris Faial Garden (Faial) and Azoris Angra Garden (Terceira) join SATA IMAGINE to celebrate Mother's Day! In honor of Mothers, who double themselves all year round for their children, we're doubling the miles for SATA IMAGINE members who consume in the hotels of Azoris Faial Garden and Azoris Angra Garden, between May 5 and 10. And here's more! If you book with us for stays between 5 and 10 May, the hotel will provide you with a promotional code to use when booking your trip at www.azoresairlines.pt/en, enjoying a 10% discount on your ticket to Faial or Terceira islands. More information about the campaign HERE.